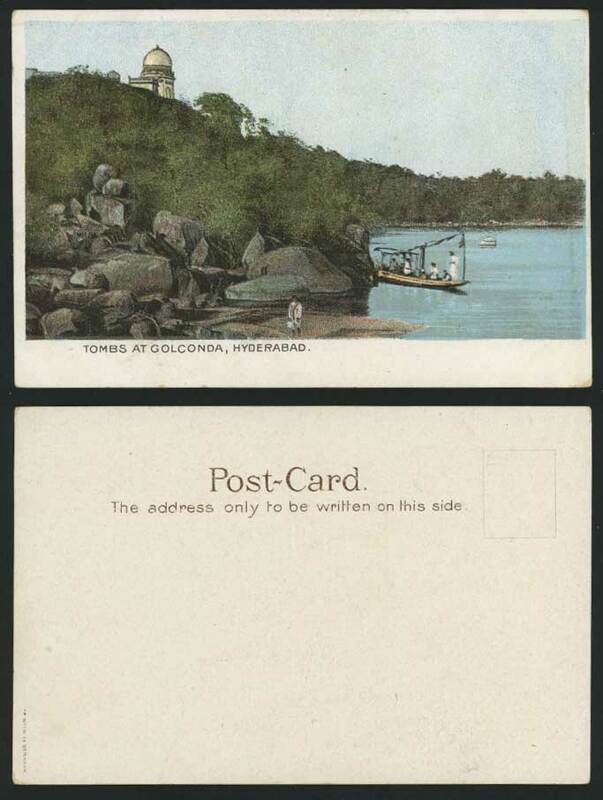 Vintage Colour Undivided Back British Indian Picture Postcard, Rocks. Boating. Tombs at Golconda, Hyderabad. River Scene. Panorama.